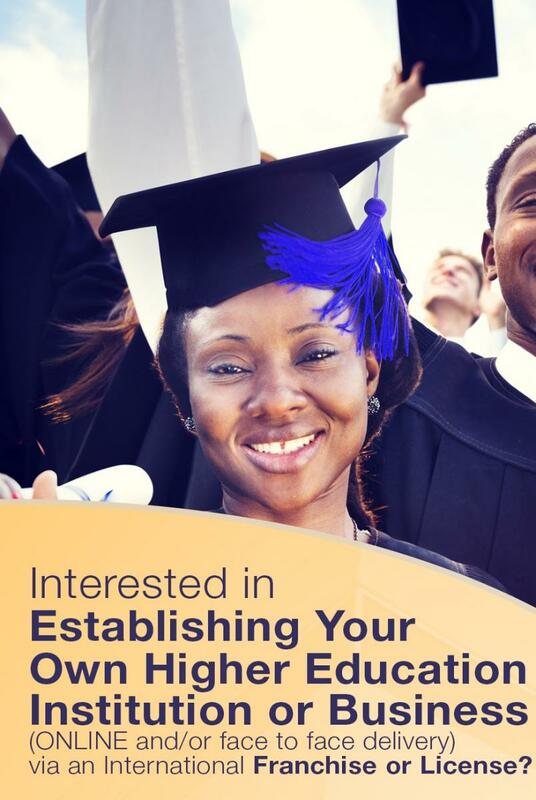 The new entity in partnership with Florida International University (FIU), the University of Florida (UF), and the Florida State University (FSU) then embarked on a major initiative to launch in June 2005, a number of new programmes including degrees in Business, Information Technology and Engineering. In May 2005, UCC obtained official recognition and registered centre status from the prestigious University of London to offer both the Diploma in Law (now the Certificate of Higher Education in Law) and Bachelor of Laws degree (LLB) in partnership with that University. The main objective focused on preparing secondary school graduates and mid level professionals with some degree of tertiary training for entry, or for upward mobility into business or industry. UCC/IMS/IMP has been in the business of developing and providing higher education and training for the past 40 years. To date, approximately 70,000 persons have successfully graduated from its several programmes. Currently, the organization has an annual part-time and full-time student population (chiefly working professionals) of approximately 4,800. UCC has a highly qualified and experienced administrative and academic staff of 180 and 250 respectively to support all the above-mentioned programmes. The UK-based Accreditation Services for International Colleges & Universities (ASIC) conducted an accreditation review of (UCC) in 2016 and the University was granted international institutional accreditation status. Moreover, the ASIC review acknowledged: “The University (UCC) has many Areas of Strength and Good Practice and in particular has been awarded commendable grades overall and thus designated as an ASIC Premier Institution.” The University has been lauded for this achievement. The attainment of ASIC accreditation has further boosted the profile of UCC and confirms that the institution meets high standards of education, welfare and good practice. This accreditation will continue to reassure our students and stakeholders that UCC is a good choice, and that they will be provided professional teaching, valuable qualifications and a positive learning experience. The University of the Commonwealth Caribbean (UCC) is also a member of the American Council on Education (ACE) and the Commonwealth and OAS Consortia of universities. The University is also registered and recognised and its programmes accredited by the University Council of Jamaica (UCJ), the official accreditation body for tertiary education in Jamaica. UCC was established to provide flexible, high-quality collegiate learning opportunities primarily for self-directed adults. The institution has become a pioneer in prior learning assessment, while leveraging technology to develop and deliver courses and academic programmes wherever a student lives or works. In 2008, UCC restructured its Academic Affairs Division and established Schools, which now oversees the University’s academic enterprise. UCC’s latest mission was developed and guided by a comprehensive review of its purpose and strategic emphasis. The mission statement defines the institution anew in terms of a broader mandate to equip and educate students in a wider array of professional disciplines. UCC also undertook a review of its curricula and offerings as a subset of this strategic review and what has emerged is a commitment to additional applied research and to develop other programmes, structure, processes and systems to support such initiatives. The University College of the Caribbean sought initial approval from the Companies Office of Jamaica for the new proposed name change. This application was recently approved. Therefore, the institution has now officially dropped the word "college" from its name. The new name and rebranded institution, but with the same acronym, the University of the Commonwealth Caribbean (UCC), now represents further growth in its mission and diversity of programmes. The main campus and headquarters of UCC are at 17 Worthington Avenue with satellite campuses at the Old Hope Road and Oxford Terrace locations in Kingston and five regional campuses at locations in Montego Bay, Mandeville, Ocho Rios, Savanna-la- Mar and May Pen. Jamaica and the wider Caribbean. UCC is firmly rooted in a philosophy of education based on flexibility, professional standards and work placeexposure. The institution is further distinguished by its wide variety of programmes and levels, the flexibility of entry qualification, clearly defined exit standards which are benchmarked against professional practice, distinctive competence of graduates; relevance; equitable access; financial viability; diversity of faculty, staff and programmes; high quality local & overseas programmes; international partnership arrangements and exemplary governance. With its status, UCC affords students the best advantages of both systems with a selection of rigorous and timely indigenous Baccalaureate degree programmes complemented by an equally relevant slate of Baccalaureate and Masters programmes offered on behalf of its overseas partners which currently include the University of London and Florida International University. UCC also has as a part of its institution the UCC Foundation (UCCF) which has been charged with the responsibility to undertake fundraising activities for UCC to support not only its scholarship programmes but also activities to upgrade its facilities and expand its programme offerings. The UCCF is a US registered public charity based on its exempt status for the purposes of the Internal Revenue Service Code Section 501(c) (3) and is also registered as a Jamaican company. UCC’s core student population is drawn from a wide array of industries. They are usually employed at the senior supervisory and lower managerial ranks and are in their 30s and 40s. With its expansion into offering full time programmes at the Worthington Avenue Main Campus in New Kingston, UCC now also caters to the needs of recent high school graduates largely from the corporate area, aged mainly from their late teens to early and mid twenties. The University also offers programmes for day students in our Regional Campuses. The market for tertiary education and training in Jamaica and the wider Caribbean is growing. In addition, studies have shown that Jamaicans are continuously seeking educational and retraining opportunities to improve their marketability, earning potential and social position.